Father's Day Thoughts 2014, covering personal and global challenges of the day! Some nice coincidences had been happening on the run up of events leading to Father's day this year! Let me explain. I was in KL on Sunday June 8 heading to the KL branch of the Church. Some how I had the impression that it was Father's Day on that day as I didn't really check up to know the actual date and only knew it was some time in June after Mother's Day the previous month. After the sacrament meeting, I heard the announcement that we would hear from the primary to sing for Father's day celebration early instead of the following week as the music leader would be away on Father's Day! What a delight that I could hear the children sing with the Father's day spirit! After the children sang, all the fathers were given a handmade paper tie to wear. I took the opportunity to have a photo taken with the KL branch presidency where all of us are seen wearing the ties. Every Father was given a real cookie above! 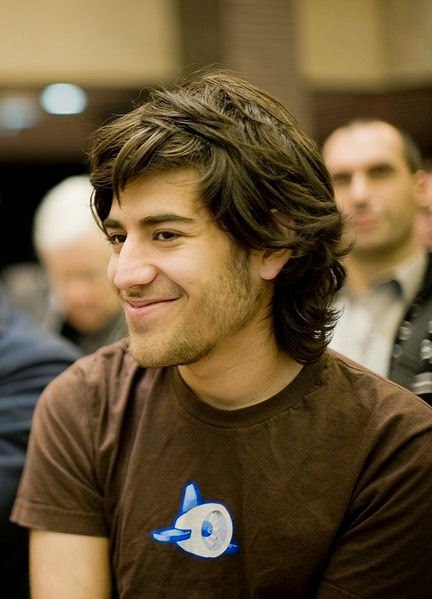 As early as April in the year, my mind was already in deep thoughts about raising Y generation kids when I came across the story of the death of Aaron Swartz, known as the Internet Boy, pictured above and shared my thoughts here. As father's day approached and went by I had only shared the above pics and videos with some brief captions. I felt I needed more time to share my deeper thoughts which were a bit muddled for reasons better explained from here onwards. 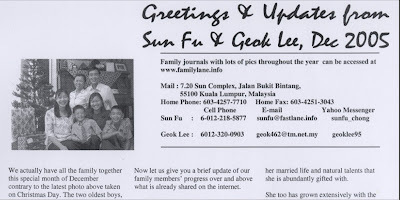 As late as July this year, when Han returned from his mission and we had our BIG Familylane reunion, my thoughts were rekindled again about raising Y generation kids from a chance meeting with a Singaporean father. A puncture of my front left tyre caused me to meet the owner of a tyre shop in Singapore who while physically changing my tyre for me at our resident car park area began to share his sadness about the death of his son that happened not too long ago. He had 3 children, two boys and a girl and his second son at age 20 had taken his own life! He related the story of his son with tears and hearing his story and lamentation of the frustrations he encountered with the tight bureaucratic system in the country brought tears in my eyes too. Fear came to me too for our youngest two teenage boys who had spent more time growing up under the Singapore education system at the primary level compared to their two older brothers who came when they were already in a Malaysian secondary school. Han the oldest had to repeat 2 years again for his O levels preparation as his form 4 and 5 years in Malaysia were not recognized. Fear came to me because the side effects of a rigid system described by this father on his children seem similar to what I had observed in our two younger boys. Their lack of initiative in their life style was something I had been concerned about for a long while. Before and after their mother was alive, I found it difficult to take them for an extended holiday back in Malaysia where I thought a different scenario of space, hills and the natural landscape of the country would freshen their outlook. However they seem to always have some activity/responsibility in school that they could not get away from during the holiday season where they would be penalized if they were absent. Can a concerned father like me go against the system to give his children a short break away from curriculum and computers? On the academic performance of the children in Singapore, this father claimed that making it to the university was today not seen as a sign of a smart student any more but something that is simply 'normal'. Therefore a child that doesn't make it to the university is regarded as 'abnormal'. Such was the stress of a student in Singapore I suppose. 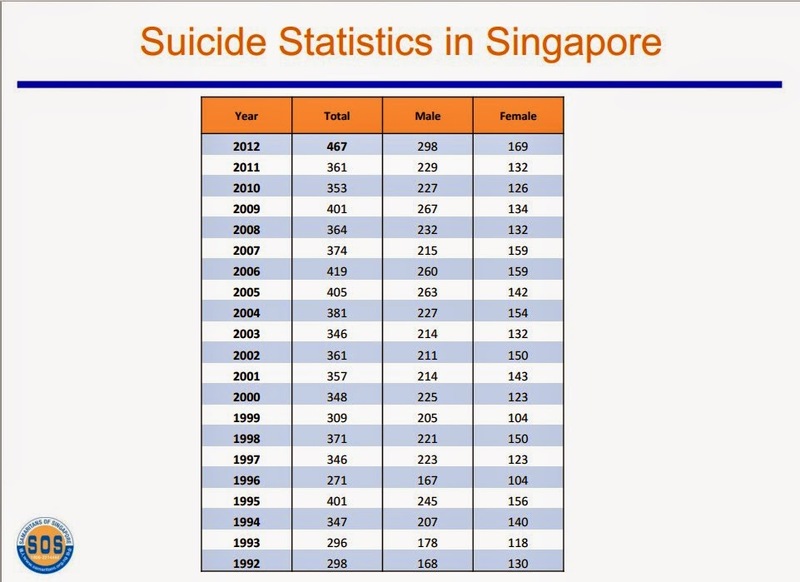 From the statistics above, there seems to be a growing trend of the total number of suicides recorded in Singapore, with the latest of 467 people for the year 2012. I randomly asked some locals how many they thought was the number of suicides in the country and one guessed about 10 or 20. Others were over 100 When I suggested that they guess a higher figure, the one didn't think it would be over 100 and the others , after several attempts didn't think it would be over 200 or 300. These statistics covers actual death from suicide but does not include attempted suicides that occurred but failed. Singapore is only ranked no 48 in the world for the most number of suicides in the year 2012 out of 110 countries reported. No report is available for the year 2013 at the time of this writing. Personally I feel even 1 suicide is always one too many in any country. I felt impressed to call the Samaritans of Singapore(SOS) to offer my time while in Singapore to do something useful, outside of family, and they said they would email me their official application form. Interesting that this video recorded at the University of Sydney in Australia has a speaker, a neuropsychologist Dr Chee Soon Juan who touched on the 467 figure of suicides in 2012. It is interesting to note that this video highlights men failing in Body Mind Spirit aspect of life. Click here to start the video when Body Mind Spirit is vocalized by Tucker Carlson of Fox News. The shocking news of another Malaysian airlines plane crash came to me through facebook after our family had a house guest, a homesick Malaysian working close by, who joined us for dinner. My thoughts of the last crash are still vivid in my mind. We don't watch television in our Singapore home but I quickly hooked up my IPTV box and with the fast internet service on the island I soon could be watching the latest live news being reported on the plane crash. While hearing all the breaking news coming in, the other highlight of the night was also about the troubles on the Gaza strip between the Israelis and the Hamas militants where in their bombings of each other, thousands of innocent people would die or be injured and become homeless including the figure of 50,000 children that I heard are in the Gaza strip! Even a hospital was being bombed or destroyed! Now you know one of the reasons why we don't have television in our home nor do we subscribe to daily papers. Click at the like and comments icon section above to view the interactive comments and other stories shared that will be displayed in another page. The coverage of the MH17 crash can be tracked here. The coverage of the Gaza strip latest conflict can be tracked here. On the next day in the afternoon, my immediate inspiration was to go out with another Father, who had lost his son by suicide quite some time ago, to visit this father at his tyre shop who had just lost his son recently and seem to still be in a state of trauma. I told my good friend, the other father, the plan of visiting this father and shared my thinking that we may not save the world with all its problems but as fathers in this advanced country of the world, we could at least be a friend to another father in distress on the island. In short, "We cannot save the world but we can be a friend to a neighbor!" In the short visit to the tyre shop to find this father, we could feel the trauma he was experiencing as a father. 'The seeds of the children are embedded in the heart of the mother', he begins pouring out his thoughts in good spoken English. His wife was greatly affected by the death of their youngest son as she began to have illusionary worries that someone is trying to attack their family and she lived in fear. She also could see their son appearing in various places at home. I had learnt in my first encounter with him when he brought his truck to replace my punctured tyre, just before our big family reunion, that they had a daughter in Junior College(JC). Apparently she was stressed in her life too with signs of excessively staying in her room and relieving herself by compulsive eating whereby he describes her to be obese in size! His oldest son, coming home to Singapore soon from Edinburgh Scotland was said to be a recluse too but the father remark it's okay as he could study and his work is a scientist in a laboratory. 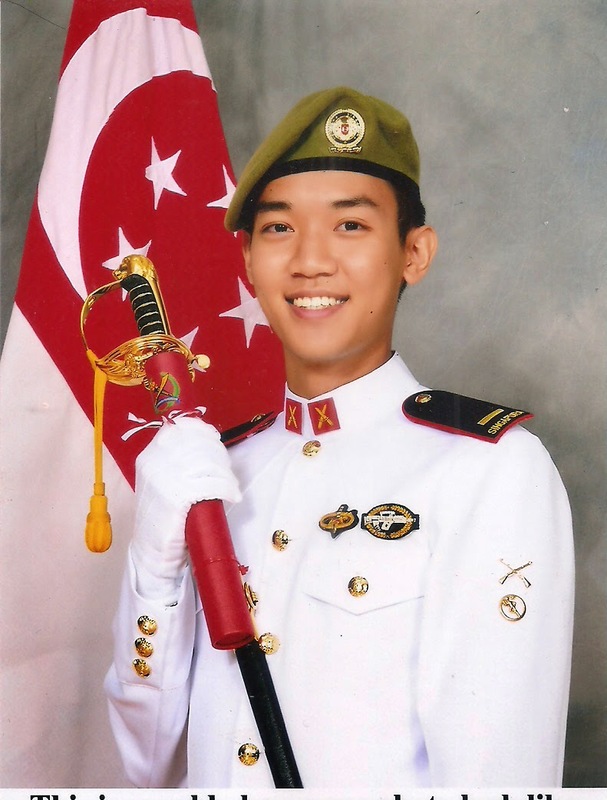 As the world suffers from deaths caused by the shooting down of a commercial plane MH17 in Ukraine by a military missile and deaths in the Gaza strip due to rocket bombings by the Israeli military on Palestinian occupied territory, it is the Commissioning Parade day for Shuan serving his two year compulsory National Service in the Singapore Armed Forces! Click to see his experience and progress so far in the military by clicking on this journal post. I just pray that there isn't any conflict or war in our region where he has to be sent for action. After all, it isn't really his choice to be in the military as a career but he would do his best while in it. As a father, I'm happy for Shuan doing well in the Military and his older brother Han too, who came back from a successful Mission recently making up the latest M&M culture of the family in Singapore! I guess being a born an optimist and later becoming a self-optimized one, I would more often say and write in a style that is laced with hope and humour in my expressions. However being a Father of 6, married for 30 years and running several businesses and volunteering in a few non-profit organizations, I must say I am also an experienced man who is a realist and a practitioner. A sleepless night for me is not about worrying about life's challenges but more so a call for giving more attention to the real challenges of the day in search for more answers and truths that can lead to optimal solutions for the problems raised. What I've shared in this post is exactly what I'm experiencing or aware off in the modern world today, from personal challenges to global ones. I pray that I and my family can withstand the storms of this era and if we can stand strong, I hope we can offer some help to our neighbours who are weathering the storm together with us. In the age of the Y generation with amazing technology that allows fast gathering of data from around the world, personal stories become a powerful source of information as opposed to national narratives that has been commanding the use of public media to transmit their news in the past. Personal challenges today as I've noted above appear to be personal problems of depression due to a stressed environment even in advanced peaceful countries as in the case of the suicide of Aaron Swartz in the US and those reported suicidal deaths in Singapore. The challenges of airplane crashes such as the recent two Malaysian Airline planes of MH370 and MH17 can be an accident or act of terror from militant parties. The dispute of the Gaza strip between Israel and Palestinians reflects a bigger problem involving politicians and governments with strong military force to support them. 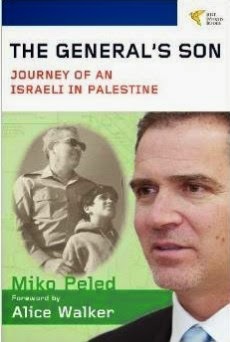 If you, like me, have always been confused about the issue between Israelis and the Palestinians in the Middle East, you can get a clarification by watching and listening very carefully to this long video below of a son giving his personal story that is related to his father, a General in the Israeli army. You will then realize why this conflict has remained so long and it can end as the people of the world find more answers and truths behind the problems or challenges be they personal or global in size! It all begins with the one, you and me! Indeed the next generation will provide Personal Stories to compete with National Narratives. Post by Carlos E. Jean-Gilles. Those interested to know about side effects in the short term of pushing free markets and democracy to developing countries may like to read what the world renowned 'Tiger Mom' Amy Chua have to say in a synopsis of her book, 'World on Fire'.